OverviewAwakening shipwrecked just after a meteor collides with a remote biotech research island, you begin to discover an uncontrollable madness unleashed in the meteor's wake. As one secret uncovers another, you piece together a horrifying revelation that could lead to the end of life on Earth. Blue Stinger is a survival horror game where players control Eliot Ballade and Dogs Bower as they team up to solve the mystery behind the strange happenings on Dinosaur Island. 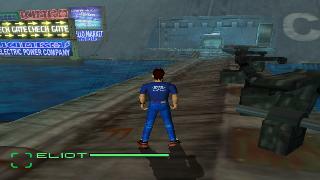 The gameplay is heavily influenced by games such as Resident Evil and Dino Crisis and players fight off mutants and manage their inventory just like in those games. The camera and controls are subsequently just as dated as the games that inspired it though it's worth noting that the Japanese version of the game had a camera very similar to Resident Evil while all other versions of the game had a more third person camera perspective similar to Tomb Raider that would later be implemented into the team's next game, Illbleed. Blue Stinger may not have aged all that well, but it was fairly decent game for its time and may be worth checking out for fans of older horror games. Now you can add videos, screenshots, or other images (cover scans, disc scans, etc.) 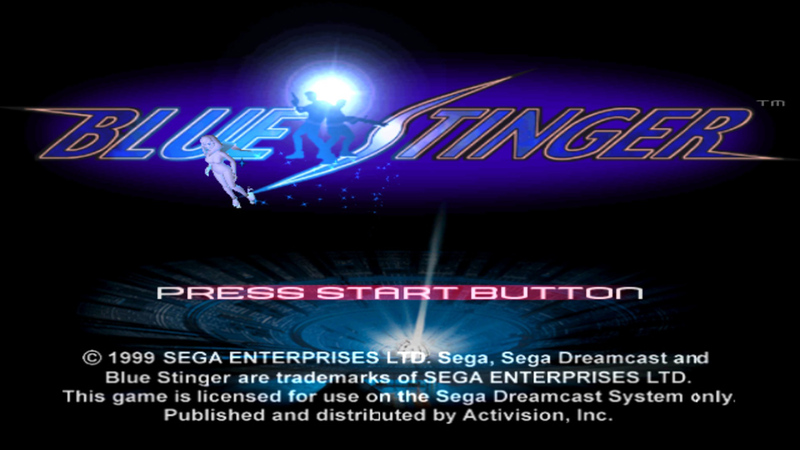 for Blue Stinger (USA) to Emuparadise. Do it now!